Next week's challenge is a sketch challenge that I'm absolutely in love with. We'd love for you to play along so make sure you get your submission in to Emily by Thursday July 25th to be eligible for some Bella bucks!! Love the colors and patterns you chose. Great card! Quinn is one of my favs! 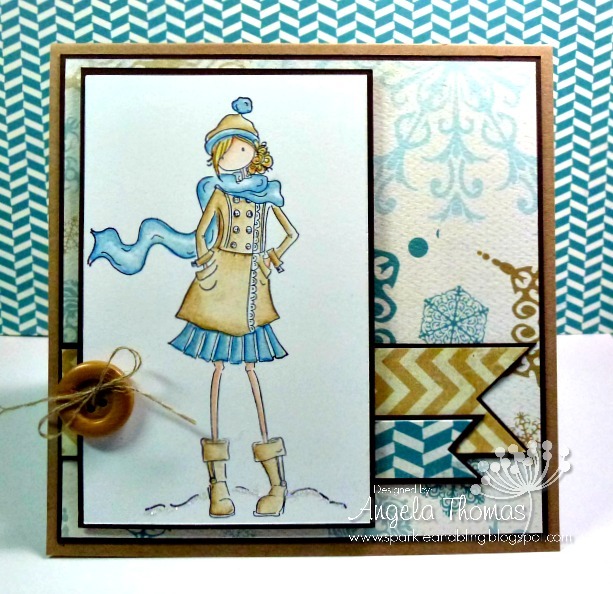 Love your colour combo and LOVE that paper!! great minds - I love her boots and yes its hot here too! I love this image and the colors you've used! Thanks for sharing it with us at Merry Monday!